Martha McClain was a shining example of a true Kentuckian, a woman who dedicated her life to serving others. Martha’s passion was giving back to the heroic men and women of our armed forces. As a member of the women’s auxiliary for the Air Force, she strengthened hearts in turmoil by providing emotional support to the wives of active duty or retired service men. At events for the families of active duty military, Martha would bring a unique spirit of good will by offering face painting. On one occasion, Martha helped organize a small fundraiser to purchase an urn for the widow of a Navy veteran whose husband had prematurely died from a seizure. Martha ultimately put forth half the money for the urn, which was thoughtfully crafted with the proud symbol of an eagle. Martha’s enthusiasm for helping others find healing led her to become a proponent of herbal medical alternatives. Though she had every right to spend the twilight of her life restfully enjoying the fruits of decades of hard work, Martha tirelessly devoted her last days to preparing care packages of herbal alternatives for military veterans who had been cut off their medication or who wanted a less toxic option. Martha’s McClain’s is a legacy that will always be felt, remembered, and treasured by her family and friends, by our military community, and by the people of Kentucky. WE WANT TO HEAR OR WATCH YOUR STORY! We want to hear your story. Share your story with us and we will pick out a variety of stories to share with the public just how diverse our community is. This is the letter that Kratom United wrote to Addiction Policy Forum, asking their support for kratom as a natural alternative to reach the 40/50% of people with SUD who have no access to treatment. A powerful testimony on how a person left an addictive prescription drug and turned to kratom to help them! Pharma employee passes up Big Pharma for kratom tea! My name is Maryann Colucci and I am a 60 year old Biomedical Technician at a Biopharmaceutical Company. I have been standing all day for over 20 years, therefore developed problems with my knees and I also have shoulder issues that left me dependent on the painkiller, Tramadol. FDA Commissioner Scott Gottlieb issued a statement on Tuesday about the controversial plant Mitragyna speciosa, which is also known as kratom. According to Gottlieb, kratom poses deadly health risks. His conclusion is partly based on a computer model that was announced in his recent statement. It is my understanding that you are interested in hearing about people’s experience with kratom. I am a 61-yr-old wife, grandmother and homeowner. I am not an addict. I have never had addiction issues, nor am I seeking a cheap ‘legal’ high. Until recently, I’ve been a compliant chronic pain patient who has never once abused my prescription pain medications. Chris is a medicinal chemist and behavioral pharmacologist at the University of Florida who is internationally known as an expert on kratom, a botanical mixture that has been shown to help people struggling with addiction. He recently became president of the American Association of Pharmaceutical Scientists, and has spent his career focusing on the design, synthesis and development of drugs to treat pain and drug abuse. My name is Andrea Pennington. 8 years ago my husband, Justin Pennington, was in a head on collision. While taking the FDA approved drug zolpidem aka Ambien, he was asleep, got into a car and drove two miles while asleep. Over the last several months, the Food and Drug Administration’s (FDA) Commissioner Scott Gottlieb M.D. has issued several aggressive and misleading statements in a continued attempt to target the natural botanical commonly known as kratom. Kratom, scientific name Mitragyna Speciosa, is a traditional tealeaf that belongs to the Mitragyna species and is a member of the Rubiaceae family which is the same as coffee. It has been used since at least the 19th century in its indigenous place of origin in Southeast Asia for various beneficial qualities. This tropical tree is used in its raw plant form and the dried leaves are used to make a tea. Kratom (Mitragyna speciosa) is a plant indigenous to Southeast Asia. Its leaves and the teas brewed from them have long been used by people in that region to stave off fatigue and to manage pain and opioid withdrawal. In a comprehensive review published in 2012, Prozialeck et al presented evidence that kratom had been increasingly used for the self-management of opioid withdrawal and pain in the United States. At the time, kratom was classified as a legal herbal product by the US Drug Enforcement Administration. Recent studies have confirmed that kratom and its chemical constituents do have useful pharmacologic actions. However, there have also been increasing numbers of reports of adverse effects resulting from use of kratom products. In August 2016, the US Drug Enforcement Administration announced plans to classify kratom and its mitragynine constituents as Schedule 1 controlled substances, a move that triggered a massive response from kratom advocates. The purpose of this report is to highlight the current scientific and legal controversies regarding kratom. In December 2012, I was the lead author of a review published in The Journal of the American Osteopathic Association that focused on an emerging botanical agent called kratom.1 The species, Mitragyna speciosa, is a tree indigenous to Thailand and other areas of Southeast Asia.2 When ingested or consumed in the form of teas, kratom leaves produce complex dose-dependent stimulant and analgesic effects.1 In Southeast Asia, kratom has been used to stave off fatigue and to manage pain, diarrhea, cough, and opioid withdrawal. Our analyses of the medical literature and websites in 2012 revealed that kratom had been increasingly used for the self-management of opioid withdrawal and pain in the United States. We also reported on the pharmacologically active constituents of kratom, most notably mitragynine, 7-hydroxymitragynine, paynantheine, and speciogynine, along with more than 20 other substances.These compounds have complex and potentially useful pharmacologic activities. In addition, we found many anecdotal reports and testimonials posted online suggesting that kratom may have beneficial effects, particularly in the management of both opioid withdrawal and pain. At the time our review was published, kratom was not banned by the US Drug Enforcement Administration (DEA), although it was on their Drugs and Chemicals of Concern watch list. We summarized the potential therapeutic benefits of kratom, but we also emphasized that no well-controlled scientific studies on the safety and efficacy of kratom had been published. We noted an increase in the number of reported adverse effects attributed to kratom and highlighted the lack of regulation and quality-control measures in the production and sale of kratom products. Our conclusions from these analyses were that even though kratom or its active constituents could have potential for development as therapeutic agents, it would not be appropriate for physicians to recommend kratom for their patients. In the 4 years since the review was published, several major developments have been made regarding the pharmacology and legal status of kratom. Given the widespread use of kratom and the extensive media attention it is receiving, it is important for physicians and other health care professionals to be knowledgeable about the subject. The purpose of this review is to update readers about key developments in this rapidly evolving area. The most controversial development regarding kratom is the recent decision by the DEA to classify kratom and the kratom-derived drugs, mitragynine and 7-hydroxymitragine, as Schedule 1 controlled substances.8 Over the years, kratom has been regulated as an herbal product under US Food and Drug Administration and DEA policies. As such, it has been considered a legal substance in most of the United States, although a handful of states, such as Alabama, Florida, Indiana, Arkansas, Wisconsin, and Tennessee, have recently passed legislation banning the local sale and possession of kratom. Despite the uncertainties regarding the legal status of kratom, over the past 4 years it is apparent that kratom use in the United States has increased measurably. More than half of all literature on kratom has been published in just the past 4 years. In our 2012 review, we reported that a search of the US National Library of Medicine’s PubMed database, using the keyword kratom, yielded a total of 35 published articles and reviews. A similar search conducted in October 2016 showed that 44 additional articles had been published. Results of several analyses published within the past year indicate that large numbers of people are using kratom for the management of opioid withdrawal and pain. A cursory review of the many patient comments on websites such as The Vaults of Erowid, Sage Wisdom, and Speciosa indicates that many users believe that kratom has been a relatively safe and effective way to manage these conditions. However, no controlled clinical trials on the safety and efficacy of kratom have been published. At the same time, increasing numbers of adverse effects and toxic reactions associated with the use of kratom products have been reported. It was in the context of these uncertainties regarding safety and efficacy of kratom that, in August 2016, the DEA announced its plans to move kratom and mitragynines to Schedule 1 status. This category includes drugs such as heroin and LSD, which have no valid medical uses and a high potential for abuse. The DEA’s announcement sparked vigorous opposition from many patients and patient advocacy groups who claim that kratom had helped them manage opioid withdrawal or chronic pain. The advocates’ responses included a march and demonstration at the White House on September 13, 2016, and a petition with over 130,000 signatures that was sent to President Barack Obama. In addition, several congressional representatives and US senators signed letters asking the DEA to reconsider the kratom ban, which was to go into effect on September 30, 2016. In response to these challenges, the director of the DEA announced that the kratom ban would be temporarily placed on hold. All of these events have received extensive coverage by news media and have raised public awareness of the issue. As a result of my familiarity with kratom, I have been contacted by several news reporters and writers for my thoughts and opinions about the kratom controversy. Even though there are far more questions than answers, I hope that I can accurately frame some of the most important questions. The 2 most obvious questions are “why is kratom so controversial?” and “why is the DEA planning to ban it?” From my analysis of the literature1 and the DEA’s announcement, it is readily apparent that the controversies and the DEA’s position are based on the reported opioidlike effects of kratom, questions about its toxicities and addictive potential, and uncertainties about its efficacy and safety in the management of opioid withdrawal and pain. Should Kratom or Its Mitragynine Constituents Be Classified as Opioids? In describing their rationale for banning kratom, the DEA emphasized that kratom and mitragynines have been reported to produce some opioidlike effects. Most of the scientific evidence that kratom may have opioidlike activity is derived from the results of animal studies and ligand-binding studies, which have suggested that mitragynines may interact with opioid receptors. In addition, anecdotal reports and commentaries indicate that some of the effects of kratom in humans resemble those of opioid agonist drugs. Although no well-controlled clinical trials have been done, strong evidence demonstrates that the effects of kratom are actually quite different from those of classic opioids. For example, at low to moderate doses, kratom has mild stimulant properties, unlike opioids, which are mainly sedating. In addition, kratom does not usually produce an intense high or euphoria. Importantly, even at very high doses, kratom does not depress respiration. At the molecular level, mitragynines are structurally quite different from traditional opioids such as morphine. Moreover, recent studies indicate that even though the mitragynines can interact with opioid receptors, their molecular actions are different from those of opioids. In 2 elegant studies, Váradi et al and Kruegel et al showed that several mitragynine analogs acted as agonists at µ opioid receptors and antagonists at δ opioid receptors. Most notably, even though they activated the G-protein–mediated signaling pathway, much like traditional opioids, they did not “recruit” β-arrestin, which has been implicated as a mediator of opioid side effects and dependence. Using a mouse model, Váradi et al showed that kratom-based drugs had marked analgesic effects but with far fewer side effects, slower development of tolerance, and lower potential for dependence than morphine. Based on all of the evidence, it is clear that kratom and its mitragynine constituents are not opioids and that they should not be classified as such. Is Kratom Effective for the Management of Opioid Withdrawal or Pain? The current epidemic of opioid abuse and addiction in the United States has recently been highlighted in several major commentaries, and it has prompted action by the federal government and the Centers for Disease Control and Prevention. The most decisive action has been the development of new guidelines by the Centers for Disease Control and Prevention for the prescribing of opioids. In this environment, physicians are being discouraged from prescribing opioids, especially for long-term use, and patients with chronic pain conditions are seeking alternatives. In addition, many patients who have taken opioids for chronic pain are seeking alternatives that lack the side effects and addiction potential of opioids. Many people have turned to kratom with the belief that it may provide an effective and reportedly safe alternative to prescription or street opioids. It should be emphasized that most of these claims are on websites such as The Vaults of Erowid, Sage Wisdom, and Speciosa. The few scientific studies that have addressed this issue have been summaries of patient experiences or clinical reports. Swogger et al conducted a systematic analysis of kratom user reports on The Vaults of Erowid website. Whereas some users reported negative effects, particularly nausea and vomiting, mainly from higher doses, the vast majority of users reported beneficial effects in the management of opioid withdrawal and pain, depression and anxiety. I find the many positive experiences on The Vaults of Erowid, Sage Wisdom, and Speciosa websites to be compelling. In my opinion, the therapeutic potential of kratom is too large to be ignored. Well-controlled clinical trials on kratom or the many active compounds in kratom are needed to address this issue. One strong piece of evidence suggesting that kratom may have extensive therapeutic potential is that several US patents have either been issued or are pending for companies and individuals who are interested in developing kratom-based drugs. 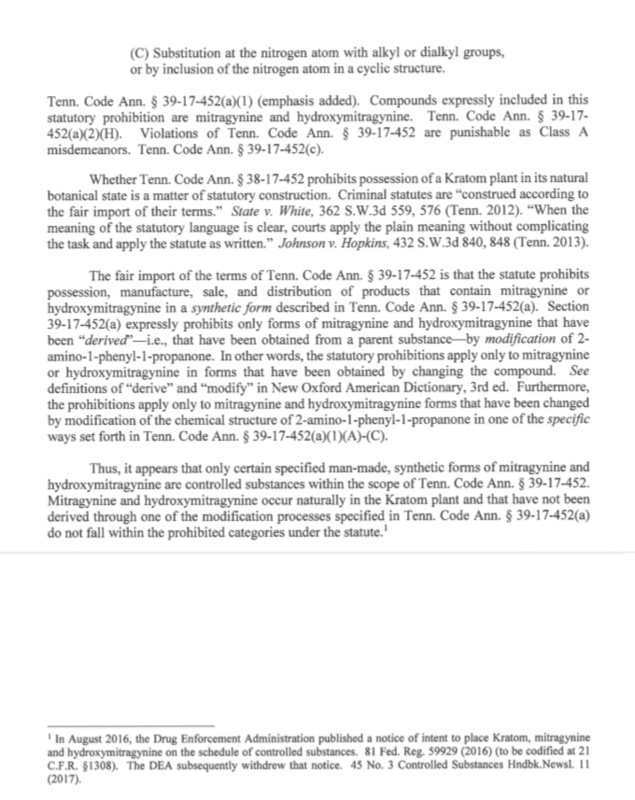 These patents would not have been submitted or issued unless there was evidence for medicinal applications of kratom-derived substances. Before considering the potential use of kratom in the management of opioid withdrawal, several major therapeutic controversies need to be addressed. Many kratom advocates have claimed that kratom is a safe and effective alternative to opioids for the management of opioid withdrawal. However, some addiction treatment specialists have noted that kratom may be a “crutch” or a “gateway” drug that can increase the likelihood that individuals will graduate to hard-core opioids such as heroin. In this regard, it is not clear how kratom would be any different from agents such as methadone and buprenorphine, which are widely used as maintenance agents in the management of opioid withdrawal even with their great potential for abuse. This issue is at the center of a major debate in addiction medicine. Should the goal of treatment be abstinence or harm reduction? If the goal is harm reduction, kratom may have a potential role, especially because kratom is less toxic than drugs such as methadone. How Serious Are the Abuse and Addiction Potentials of Kratom? Studies have shown that people may seek kratom for its mind-altering effects and, with long-term use, may become dependent or addicted. Even though these reports indicate that the effects as well as withdrawal symptoms from kratom can resemble those of opioids, many users have reported that the subjective effects of kratom are different from those of opioids. As noted previously, low to moderate doses of kratom tend to be somewhat stimulating and do not produce the “high” or euphoric effects associated with opioids. In addition, many users have reported that withdrawal symptoms from kratom are much milder than symptoms from traditional opioids. Most notably, even at high doses, kratom does not depress respiration as do traditional opioids. Although kratom has potential for abuse and addiction, several investigators who closely examined these issues concluded that kratom is not as dangerous as traditional opioids and that the potential benefits may outweigh the risks. With the increasing use of kratom in recent years, the number of reports of adverse effects resulting from the use of purported adulterated “kratom” products has also been increasing. These reports were cited as one of the major concerns in the DEA’s decision to ban kratom. At low to moderate doses (5-10 g of raw leaves), the adverse effects vary markedly from one person to another, but they generally appear to be mild. The most common effects are anxiety, irritability, nausea, and vomiting. More troubling have been reports of serious toxic reactions associated with high doses or the use of concentrated extracts. Some of the reported effects include tachycardia, seizures, and liver damage. In addition, there have been several deaths attributed to the use of purported kratom products. From the foregoing summary, it is understandable why the DEA would be concerned about the safety of kratom. However, several factors need to be considered in evaluating whether the DEA’s proposed ban is justified. First are the simple statistics. When it announced the decision to ban kratom, the DEA emphasized that between January 2010 and December 2015, 660 calls had been made to poison control centers regarding adverse reactions to kratom products. This might seem to be an alarming number, but it is rather small considering that in 2014 alone, more than 28,000 people died of opioid poisoning. In addition, it is not totally clear how much of a factor kratom was in the few case reports in which it was implicated as a cause of death. In most of these case reports of possible fatal reactions to kratom, the patients may have had confounding health conditions or may have been using other drugs along with kratom. One of the major problems in evaluating the potential uses and safety of an herbal agent such as kratom is the lack of understanding how substances in kratom may interact with prescription medications, drugs of abuse, or herbal supplements. The lack of regulations and standardization of the production and sale of adulterated kratom products compounds the lack of understanding. Increasing evidence shows that unscrupulous purveyors of adulterated kratom may actually be contaminating their products with potentially toxic drugs. Probably the most notorious example of such adulteration involved a product known as krypton, which was touted as a highly potent form of kratom. It was sold mainly in Europe and was found to be a factor in at least 9 deaths. However, detailed forensic analyses revealed that krypton contained high amounts of the exogenous pharmaceutical agent O-desmethyltramadol, which has opioid and neuromodulator activity. Evidently, the exogenous O-desmethyltramadol had been added to the plant material. Even though mitragynine was also detected in the products, it was not determined how the 2 substances may have interacted to cause death. The key point is that without some type of standardization and quality control, people who use adulterated kratom products cannot be sure what they are taking. This is obviously a problem that needs to be resolved. Nevertheless, several scientists who have studied kratom indicate that in its pure herbal form, it appears to be relatively benign, especially in comparison with opioids such as hydrocodone, oxycodone, and heroin. It is readily apparent that kratom is being widely used in the United States, especially for the management of opioid withdrawal and pain. Reports from kratom users and limited basic science and clinical studies suggest that kratom and its constituent compounds may have beneficial pharmacologic effects. However, no well-controlled clinical trials have been done. In response to growing concerns about the safety and addiction/abuse potential of kratom, the DEA is planning to classify kratom and its major mitragynine constituents as Schedule 1 controlled substances despite many patient reports and a few research studies that indicate that kratom is much less harmful than prescription opioids. While it is easy to understand the DEA’s perspective, it is also easy to understand the response by kratom users and many in the kratom research community. One point that is very clear is that these key issues can only be resolved through additional research. However, many experienced kratom researchers have expressed concern that the DEA’s plan to move kratom to Schedule 1 will almost certainly make it more difficult for investigators in the United States to address these issues. In this regard, the legal situation with kratom is similar to what has happened with so called “medical marijuana,” in which federal policies, including its classification as a Schedule 1 substance, have impeded research. Many institutions and government agencies are reluctant to fund research on Schedule 1 substances. In addition, many practical issues complicate research on herbal products such as kratom. For example, after the publication of our review in 2012, one of the coauthors, Shridhar Andurkar, PhD, and I were planning on conducting basic research on the pharmacologic actions of kratom. With Dr Andurkar’s experience using animal models of opioid dependence and withdrawal, we hoped to develop a study to determine whether kratom could suppress symptoms of opioid withdrawal. However, we soon realized that this would not be an easy issue to address. Which kratom product would we evaluate? How would we confirm that the product was actually kratom? Resolving that issue would necessitate evaluation by a botanist. How would the product be standardized for activity when it contains a mixture of active compounds? One solution might be to focus on specific chemicals isolated from kratom, but then we would not be able to determine how all of the many active constituents in kratom might interact to produce effects that could differ from those of the individual constituents. Another major issue was how we would administer a plant material such as kratom to laboratory animals in a way that would naturally mimic human consumption. The only way kratom can be unequivocally studied is through well-controlled clinical trials in humans. Who would fund this type of study? Given that kratom is a tree, would pharmaceutical companies support such work? Would institutional review boards be reluctant to approve trials for a schedule 1 substance? Even though I have no answers to these complex questions, it is my sincere hope that this commentary will facilitate an informed discussion about kratom and foster the necessary research to resolve questions about the safety and utility of kratom in the management of opioid withdrawal and pain. If kratom contains pharmacologically active compounds (which it clearly does), it would certainly have potential toxicities. After evaluating the literature, I can reach no other conclusion than, in pure herbal form, when taken at moderate doses of less than 10 to 15 g, pure leaf kratom appears to be relatively benign in the vast majority of users. Without reported evidence, however, it would not be appropriate for physicians to recommend kratom for their patients. That said, physicians should be aware that their patients may be using kratom. Drugs and Chemicals of Concern. Kratom. Drug Enforcement Agency website. https://www.dea.gov/pr/multimedia-library/publications/drug_of_abuse.pdf#page=84. Accessed October 31, 2016. Schedules of controlled substances: temporary placement of mitragynine and 7-hydroxymitragynine into Schedule I. Fed Regist.2016;59929-59934. Wing N. Feds declare war on herb touted as a solution to opioid addiction. The Huffington Post. August 31, 2016. http://www.huffingtonpost.com/entry/dea-kratom-schedule-i_us_57c5c263e4b0cdfc5ac98b83. Accessed October 21, 2016. Wing N. Some say kratom is a solution to opioid addiction. not if drug warriors ban it first. The Huffington Post. Updated September 7, 2016. http://www.huffingtonpost.com/entry/kratom-ban-drug-policy_us_56c38a87e4b0c3c55052ee3f. Accessed October 21, 2016. Anson P. Kratom users say ban will lead to more drug abuse. Pain Network News. 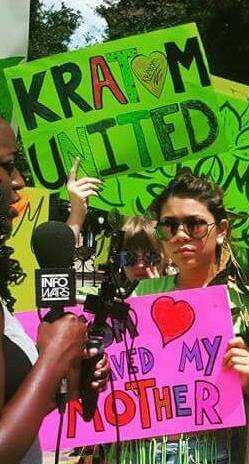 September 20, 2016. http://www.painnewsnetwork.org/stories/2016/9/18/kratom-users-say-ban-will-lead-to-more-drug-abuse. Accessed October 21, 2016. Kratom. The Vaults of Erowid website. https://erowid.org/plants/kratom/kratom.shtml. Accessed October 21, 2016. The Kratom user’s guide. Sage Wisdom website. 2016; http://www.sagewisdom.org/kratomguide.html. Accessed October 21, 2016. Assessment of kratom – scientific study. Speciosa website. http://speciosa.org/assessment-of-kratom-scientific-study/. Accessed October 21, 2016. Clopton J. What is kratom? Why does the DEA want to ban it? WebMD website. http://www.webmd.com/mental-health/addiction/news/20160919/what-is-kratom-dea-ban. Accessed October 21, 2016. Cohn M. Users of kratom defend herbal supplement ahead of federal ban. The Baltimore Sun. September 22, 2016. http://www.baltimoresun.com/health/bs-hs-kratom-ban-20160922-story.html. Accessed October 21, 2016. Boodman E. Lawmakers urge DEA to reconsider ‘hasty’ ban of opioid-like kratom. STAT. September 23, 2016. https://www.statnews.com/2016/09/23/kratom-ban-dea-congress/. Accessed October 21, 2016. Kroll D. DEA delays kratom ban, more senators object to process and ‘unintended consequences’. Forbes. September 30, 2016. http://www.forbes.com/sites/davidkroll/2016/09/30/dea-delays-kratom-ban-more-senators-object-to-process-and-unintended-consequences/#3823a0d94f71. Accessed October 21, 2016. Ault A. DEA delays kratom ban. Medscape. October 21, 2016. http://www.medscape.com/viewarticle/869909. Accessed October 21, 2016. DEA. Withdrawal of notice of intent to temporarily place mitragynine and 7-hydroxymitragynine into Schedule I. Fed Regist. 2016;59929-59934. 21 CFR Part 1308. Boyer EW, McCurdy CR, Adkins JE, inventors; University Of Massachusetts Medical School, University Of Mississippi, assignees. Methods for treating withdrawal from addictive compounds. US patent 20100209542. November 20, 2009. Heyworth BA, inventor; Smith Kline French Lab, assignee. Speciofoline, an alkaloid from Mitragyna speciosa. US patent 3324111 A. August 10, 1964. Takayama H, Kitajima M, Matsumoto K, Horie S, inventors; National University Corporation Chiba University, Josai University Corporation, assignees. Indole alkaloid derivatives having opioid receptor agonistic effect, and therapeutic compositions and methods relating to same. US patent 8247428 B2. November 7, 2008.